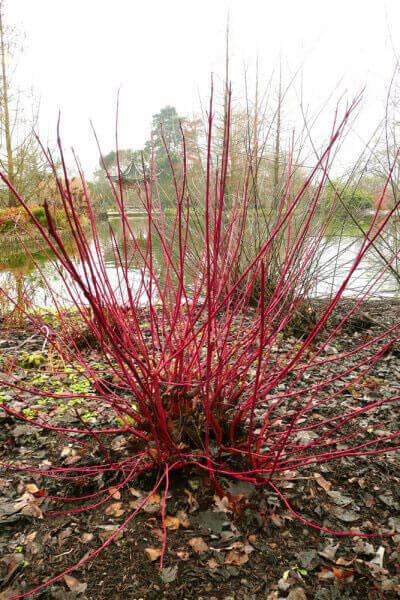 This is a brighter red coloured Red Stemmed Dogwood. 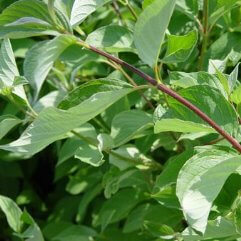 It has soft green leaves in spring that turn to dark green leaves in summer. In autumn, the leaves go red. Large flat white flower heads in Spring. White berries in summer. Stems are at their best in winter. 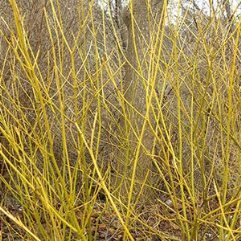 Best to cut back stems by 2/3 at the end of winter.